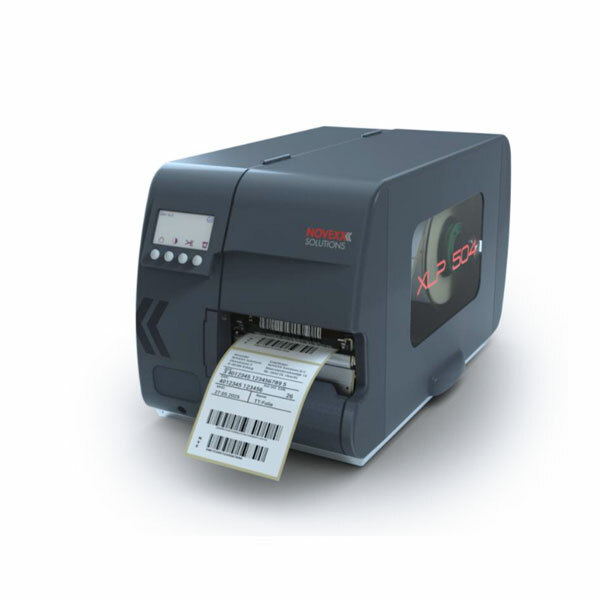 The XLP 504 Label Printer is the perfect print solution for medium volume applications. It can be used with thermal transfer or thermal direct technology and prints high quality barcodes, fonts, and images on a large variety of label materials: (coated) papers, PE/PP or cardboard up to 120 mm width. We trust in the quality of XLP 504 — developed and manufactured in Germany, the XLP 504 comes with 2 years warranty. Convince yourself of its robust housing and durable components that withstand harsh industrial environments and ensure a reliable, continuous and efficient operation even under demanding conditions. The recommended supplement for a perfect print result: our thermal transfer ribbons are optimised for the XLP 504. Available from stock, a large selection of sizes and qualities can be ordered with short lead times and at low minimum order quantities. Order your free sample kit today! The included quick start guide enables an easy and fast set up of the XLP 504. Operators can effortless navigate through the icon and text driven menu on a large multicolour display.